“You gotta come out of the house eventually” read Pete‘s text message, one I read over and over while struggling with myself to open the door. It wasn’t that I didn’t want to go out to Old Malachite’s for a beer or two, it was just this eternal feeling of guilt what felt like a millstone wrapped around my neck. “Take me out tonight, whoa, oh, oh” resonated in my head and I beat that frontier called the front door. Pete was rolling a few cigs when I arrived to Malachite’s, a bucket of beers sweating by his side and a decimated bottle of bourbon by the table. He nods and I tip my hat. We look at a band on stage. Three people, slightly dapper looking and a definite Americana sound on display. After nodding to the other members of the band, the lanky fellow on guitar and vocal duties starts to do a fast picking, reminiscent of Western Swing. Like a strange mix of The Searchers with ‘Ghost riders in the sky’, the song called ‘Our reluctant host’ invites the chosen few in the audience to tap their feet and maybe start to dance to the tune. The dancing stops for a while, but people keep swaying to the tunes. I fancy asking for a pistachio shake when ‘Three sons’ blasts from the stage; a false memory of wearing a varsity jacket while sitting in a 1953 Studebaker Commander Starliner travels through my head. Easy drives towards the drive, with careful driving near Dead Man’s Curve was the imagery that the sad-but-happy ‘Damage’ conjured. My attention is fully grabbed with ‘The Devil and the Deep Blue Sea’, an old school barn-blasting rocker. The crowd formed dancing couples and a leather jacket and denim skirts dance sequence followed. The whole backyard of Old Malachite’s resembled a dance hall for 3:25 minutes. The Rainy Day Club Website. Facebook. Twitter. Soundcloud. 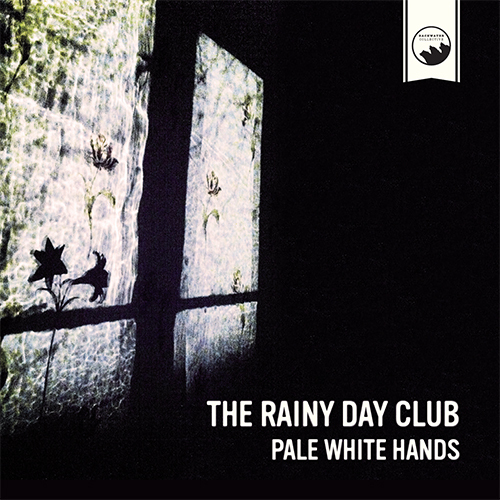 Posted in Apocalyptic stuff, Proper Rock, reviewsTagged Americana, Pale White Hands, Sheffield, The Rainy Day ClubBookmark the permalink.